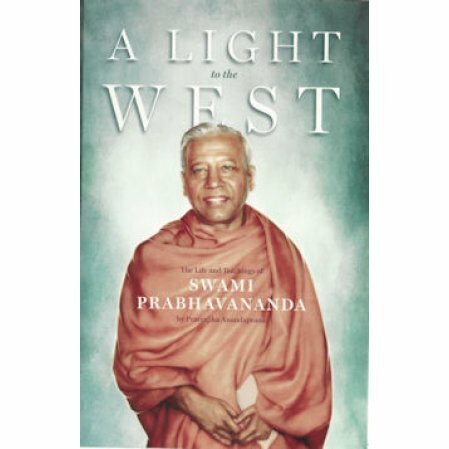 Swami Prabhavananda was the founder and guru at the Vedanta Society of Southern California for nearly 50 years. He passed away on July 4, 1976. It took 40 years before we were able to make this book available. For a long time, the material was quietly available to only our monastics and close devotees. The first part of the book is a biography of the swami. He joined in the early years of our organization when most of the disciples of Sri Ramakrishna were still alive.and active. His guru was Swami Brahmananda, the first president of the Ramakrishna Order and the spiritual son of Sri Ramakrishna. The second part of the book consists of notes of private talks with his monastics. For years it was thought to be too private, too intimate about spiritual matters for the general public. But with the passage of time, we are able to make the material available. This is be a book to cherish. A book that offers useful insights into the life of a revered monk and an inspiring figure. By delving into swamijiâ€™s life, it explores how the spiritual side of any human being is bound to undergo radical transformation with time. Swamijiâ€™s was no different. The very last chapter is extremely valuable in understanding swamijiâ€™s passion and enthusiasm for spiritual awakening and the very incidents that illustrated them. Two reviews on this page implied that the book was not up to snuff. That put me off so much that I almost didnâ€™t order it. That would have been a big mistake. The book more than met my expectations; the 15 photos were an added boon. The biographical section has many lively anecdotes (who would have guessed that during the Depression Swami P was reduced to eating popcorn and milk for supper? ), and the teachings section has 46 pages of inspiring insights. (Examples: â€œWe donâ€™t need more rules. We need more love.â€� â€œYou cannot grow spirituallyâ€¦unless you learn not to criticize others.â€� â€œYou are on the train. Stay on it and you will reach your destination.â€� A wonderful tribute to an outstanding pioneer of Vedanta in the West. I did not find the book all that insightful. It seemed to lack depth and content. I was expecting more spiritual teachings, and it seemed more like a personal journal. I own recordings and videos of Swami as well as a few books on his life but none of them is as comprehensive as this wonderful new book. His letters in particular capture his voice and the world around him. Thank you for new insights into his life! Swami Prabhavananda was a very successful teacher of Vedanta with widespread influence. I had the great blessing of being one of his disciples. It is now 40 years since his passing, and this wonderful book brings back so much of his personality and life to me. His deep spirituality and dedication come through so plainly. The book would be an asset to every spiritual seeker from any tradition. I loved it. It brought back the swami that I loved so much, and I felt very close to him. He was the most selfless person I have ever met, and he has changed my life forever. One can meet him in the book. Very fun and enjoyable read. Many uplifting stories and lots of beautiful bhavas for his Guru, Swami Brahmananda. I highly recommend it.